The flailing arms that signaled "Danger, Will Robinson" have been stilled. 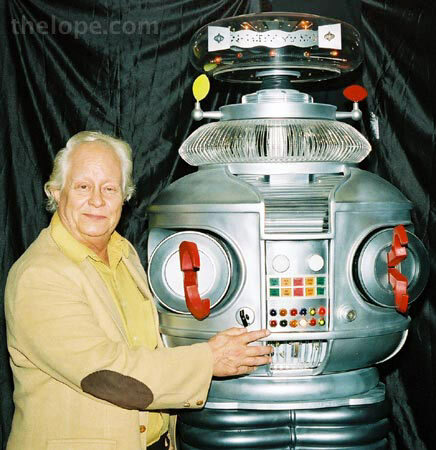 Bob May, the man in the Lost in Space robot suit, died yesterday of congestive heart failure at the age of 69. 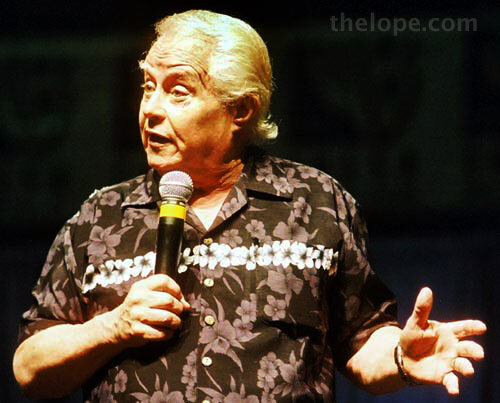 I met him when I was working as convention photographer at Trek Expo 2005, where all these photos were taken. 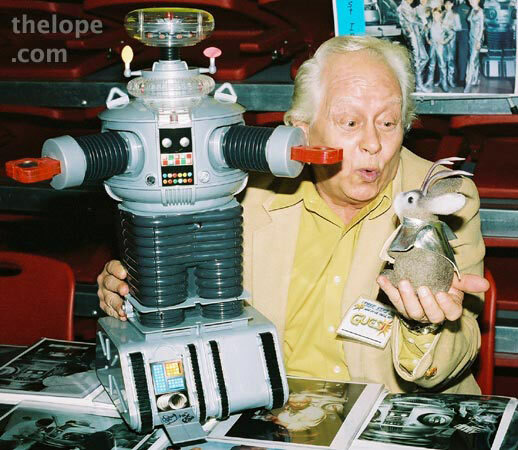 Above, he evaluates Ace Jackalope after signing a toy version of the robot I use as room decor. 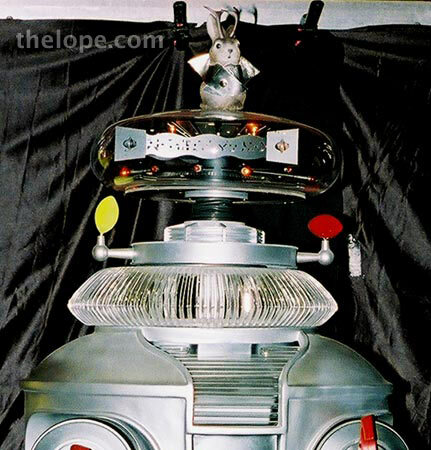 May was a colorful story-teller and clicked well with the nostalgia-driven fans of Lost in Space. I also liked his taste in shirts. 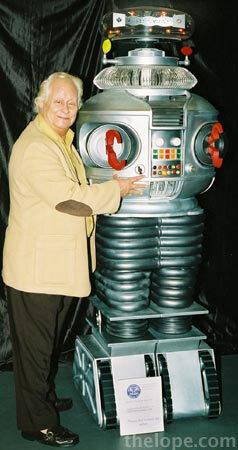 At the convention, May posed with a replica of the beloved robot. 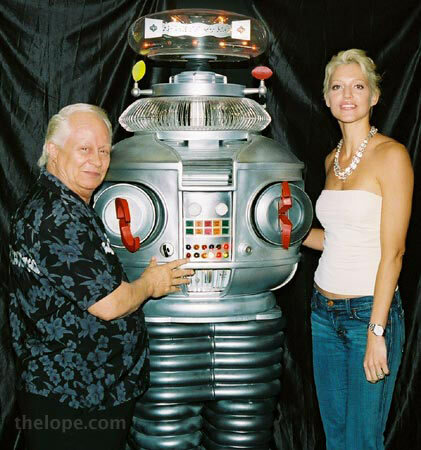 Two generations of robots: May posed with Tricia Helfer from Battlestar Galactica. Being a retired robot obviously had its advantages.